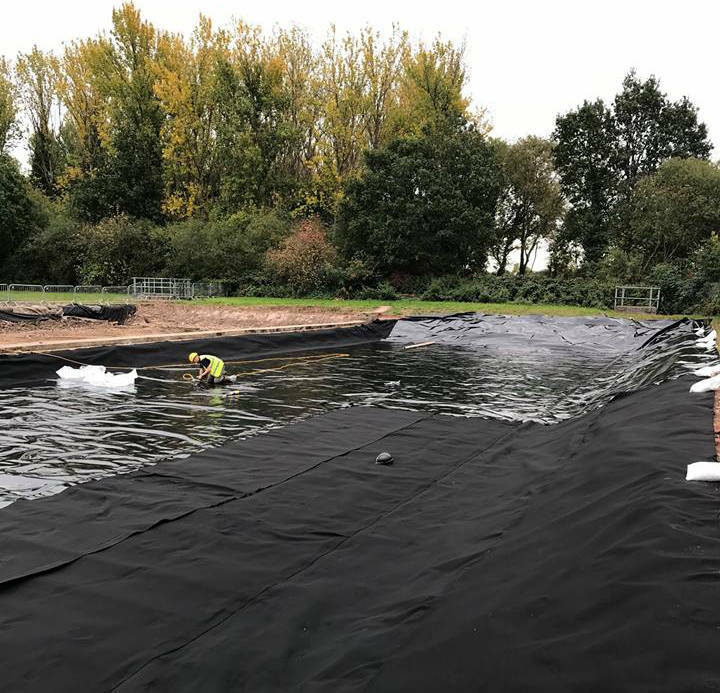 PAGeoTechnical offers ornamental and chemical containment​ and specialises in the more complex geosynthetic applications, such as aggressive containment or contaminated land. These include VOC resistant barriers and pollution control barriers. Using a range of materials sourced from manufacturers around the world we are able to offer a cost effective and secure solution. Most of these products are reinforced, offering much greater tear resistance and strength than lighter grade materials. At the lower end of the range are PE-based coated fabric. This is supplemented by a range of reinforced polyethylene monomers. The Monarflex range of Blackline and Gridline membranes offer wide width LDPE multi foil technology with immense strength and tear resistance (Gridline) or high bi-axel elongation (Blackline). The Rhinomat® range from Owens Corning offers a high strength woven core and engineered coatings that provide outstanding hydrostatic, puncture and abrasion resisitance. XR materials from Seaman Corporation utilise modern EIA technology to produce immensely tough UV and chemical resistant materials which represent the state of the art in current material design. We can also access any other type of membrane material if appropriate. PAGeoTechnical offers design assistance and full contract supply and installation as appropriate through its own contracting division OR approved specialist installation sub contractors. Perhaps one of the newest applications for geomembrane lining Sustainable Urban Drainage Systems (SUDS) are increasingly being incorporated into developments both housing and industrial. Whilst often perceived as a “black art”, the principles of SUDS are essentially basic, consisting of a collection system, storage tank and dispersal method. PAGeoTechnical is able to bring its extensive knowledge of geosynthetics to bear, demystifying this area of design and offering best value advice regarding geosynthetic components allowing each installation to be considered independently and to be designed for best purpose. With current demands on water supplies being greater than ever, horticulturists in particular are aware of the necessity to conserve and store water for irrigation purposes. Many clients install large water reservoirs to provide this much valued resource and increasingly, costs associated with inappropriately designed linings are becoming prohibitive. Increasingly, PAGeotechnical’s expertise in agricultural containment, large scale lining projects and bund lining is being applied to these irrigation reservoirs as clients realise the value of good quality design and installation in this area. Large ornamental projects, whether private or public sector, demand the closest attention to detail in geomembrane lining. With extensive time and money being spent on design and construction of these extensive lakes, it makes no sense to compromise on the lake liners. 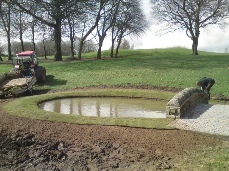 It is after all that which separates a beautiful ornamental lake from a muddy hole in the ground! PAGeoTechnical specialises in the management of these projects, specifying and providing high quality materials and installation services, sourced from the best providers in the industry, but above all appropriate to the project. Immensely strong tear resistant and chemical resistant membrane developed for the petrochemical sector and other arduous containment applications (probably the toughest membrane in the world). Woven fabric reinforced geomembrane offering optimal puncture and tear resistance. 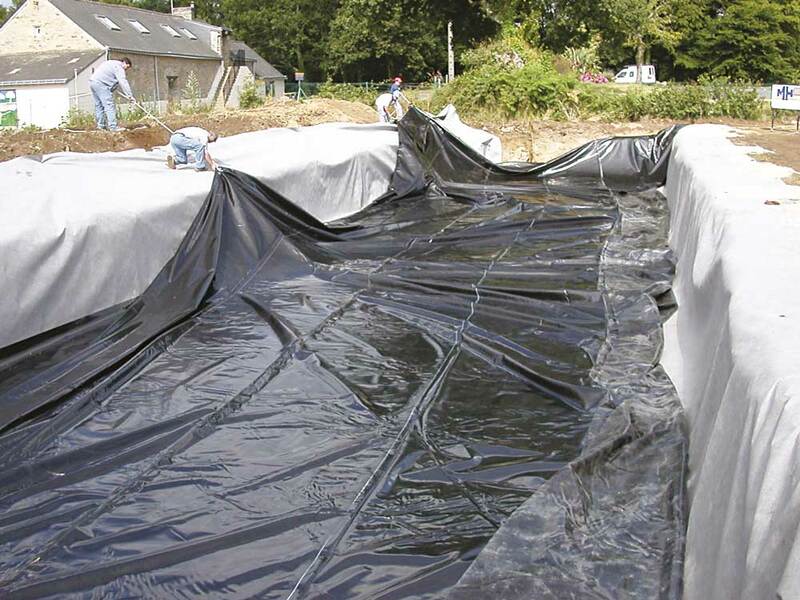 Multifilament reinforced geomembrane for high strength and tear resistance applications. Flat extruded geomembrane offering excellent biaxial performance.